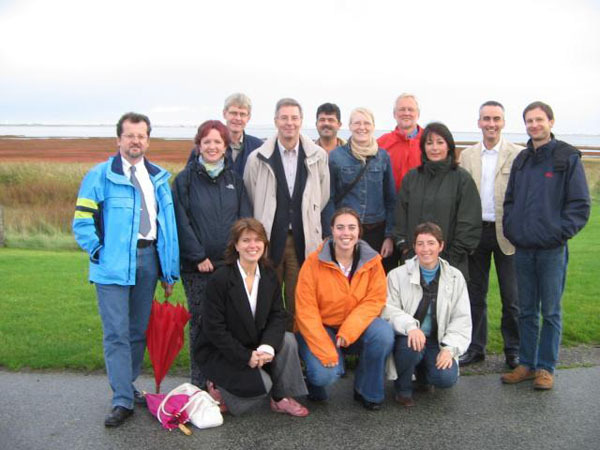 The aim of the project was to facilitate co-operation, exchange of experience and mutual assistance within the North Sea Region (NSR) in the event of coastal flooding. 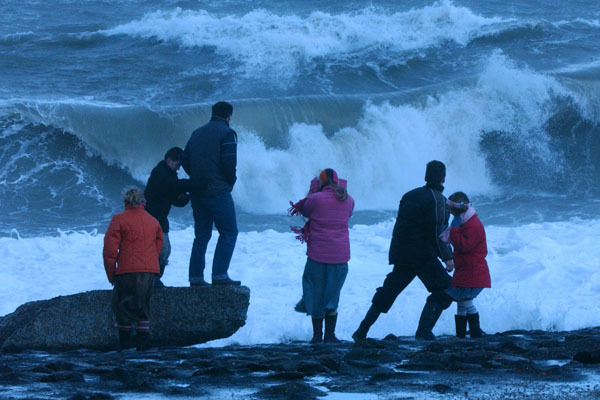 The overall objective of the project was to initiate a contingency plan for flooding covering the whole North Sea Area in order to implement this contingency plan during 2007 - 2013. The project presented a pilot coastal contingency plan, which served as a step and learning exercise towards future North Sea contingency planning in cross-border areas. Within the Dutch – Belgian coastal region the results of the inventories on available plans and equipment were used to compare the existing situations. The project developed two recommendations as a final result. 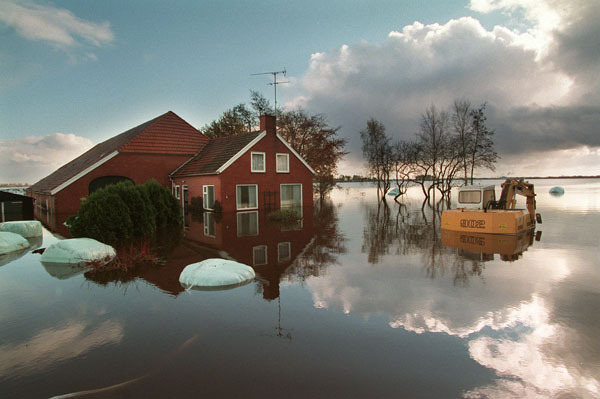 Those include a proposal to initiate a Knowledge Centre on Crisis Management of Coastal Flooding as a follow-up project as well as the recommendation for a ‘Memorandum of Understanding’ as a basis for being able to work more effectively on a transnational level in case of a crisis. Only the transnational partnership and strong cooperation between the partners has led to a comprehensive analysis of the existing local, regional and national flood plans in the NSR and to the definition of a contingency plan for flooding based on a common approach towards the chain of safety in the NSR. The cooperation was also crucial for the development of an inventory and study of the needed and available knowledge and equipment for implementing the chain of safety for the NSR. A strong co-operation with the SafeCoast project has taken place, so that a wider network was involved in the Chain of Safety project. Some activities such as the final conference were organized together, so that besides cost effectiveness also a broader network and more expert knowledge were made available for both projects. Furthermore, explorations were made to connect water-risk-management-networks to general hazard crisis-management-networks (such as the network of DG’s civil protection of the EU Member states and the Representatives of nations in the Senior Civil Emergency Planning Committee of the NATO). It should be noted that the Chain of Safety project partly builds on the results and outcomes of the ESCAPE project. 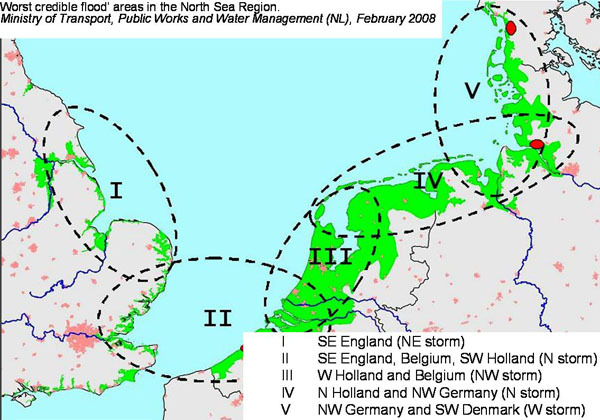 The project has met the aim to develop a primary basic document, as a framework for a transnational contingency-plan on coastal flooding for the North Sea Region countries. This includes the risks and scenarios, the crisis-management and crisis-organisation in schemes of both countries and a cross-border scheme, the description of the main processes, alarm-schemes, a communication paragraph and information about facilities and logistics. The recommendations developed within the project are to be presented to the European authority that is responsible for civil protection and crisis-management. A network including the stakeholders of other Interreg projects was established facilitating cooperation, the exchange of experience and mutual assistance. An additional outcome is that the project partners agreed on future co-operation in a Knowledge Centre for Crisis-management on floodings. The lead partner already started the initiation of this centre. The website eventually will be taken over by the knowledge centre.